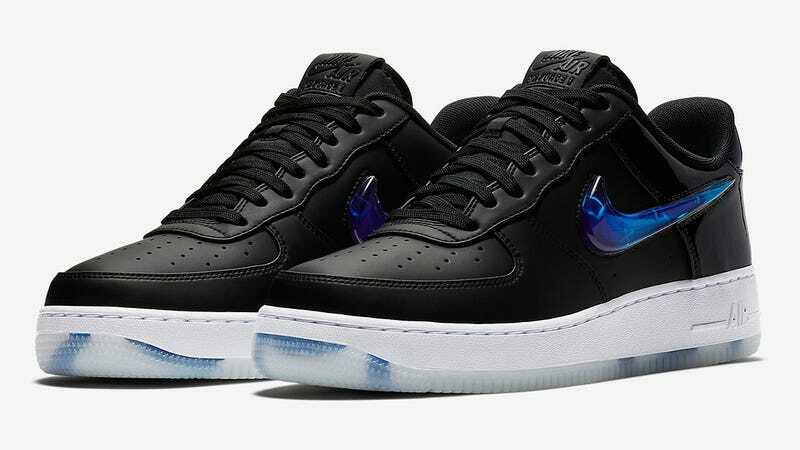 Nike’s original and super-limited 2006 release of some PlayStation-branded AF1s became something of a cult classic, so this week they’re bringing them back. Update June 12 - Added official images from Nike. I always thought they looked like clown shoes myself, and they’re not a patch on Nike’s other PlayStation effort for 2018, the light-up PG2. But this re-release has changed up the colour scheme, and they’re now a much more tasteful affair. There are also some new touches to the shoes, like the addition of DualShock controller icons to the soles and heel (and hints of them showing in the swoosh on the side). They’re retailing for $200 to select customers on Nike’s SNKRS app, but the reality is that if you want a pair of these, you’re going to need to pay a lot more than that via resale.